Discover The Daily What Happened to Lindsey Graham? Two years ago, Senator Lindsey Graham of South Carolina called Donald Trump a “kook,” a “bigot,” “crazy” and “unfit for office.” Now he lavishes praise on the president at every turn. What’s going on? Guest: Mark Leibovich, who interviewed the senator for The New York Times Magazine. For more information on today’s episode, visit nytimes.com/thedaily. Awww. It's a sweet little Bromance between 2 lonely guys who nobody likes. Hearts and kisses. Mark missed the most important question. Money is it true he receive $800,000 from a Russian oiligart. Two years and 448 pages later, a redacted version of the Mueller report has been made public. Here’s what we’ve learned. Guests: Michael S. Schmidt and Mark Mazzetti, who have been covering the special counsel investigation for The New York Times. For more information on today’s episode, visit nytimes.com/thedaily.This episode includes disturbing language.Background reading:The Mueller report laid out the scope of Russian election interference and President Trump’s frantic efforts to thwart the special counsel investigation.Read a rundown of what we know so far from the report.Times reporters shared key annotated excerpts from the report. Four states have passed laws this year that effectively ban abortion after six weeks of pregnancy, and others, including Missouri, are expected to follow suit. Some Missourians are crossing the state line to Illinois, where abortion access is protected. We spent a day at a clinic in Illinois with three women who were getting abortions. Guests: Sabrina Tavernise, a national correspondent for The New York Times, and Lynsea Garrison, a producer for “The Daily.” For more information on today’s episode, visit nytimes.com/thedaily.This episode includes disturbing language.Background coverage:Bans on abortion in the very early weeks of pregnancy — after a fetal heartbeat is detected — used to be rare. But in the past three months, four states have passed so-called heartbeat bills, and 11 others are considering them. In 1973, the Supreme Court ruled — with little controversy — that women had a constitutional right to abortion. How did the decision give way to today’s deep political divide? 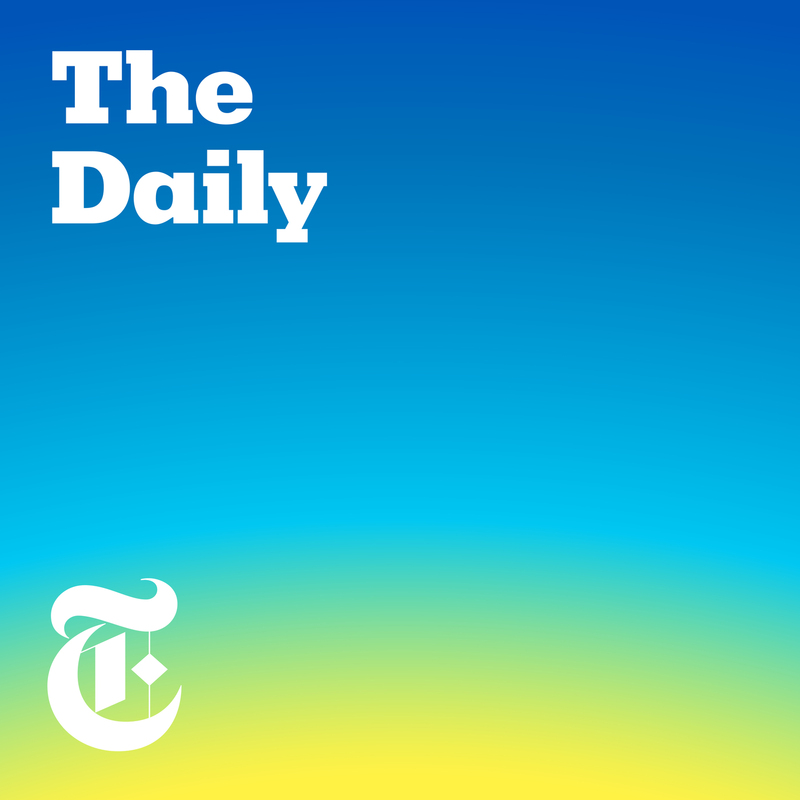 Listen to a series from “The Daily” on Roe v. Wade. When Justice Brett Kavanaugh’s ascendance to the Supreme Court threw the future of abortion rights into question, states scrambled to enact new laws. Two neighboring states in the Midwest are moving in opposite directions: Missouri is taking action to end abortion access, while Illinois is trying to preserve it. In a two-part series, we explore what those changes look like on the ground.Guests: Sabrina Tavernise, a national correspondent for The New York Times, and Lynsea Garrison, a producer for “The Daily.” For more information on today’s episode, visit nytimes.com/thedaily.Background coverage:Anti-abortion activists are pursuing what they see as their best chance in years to restrict abortion access with a Supreme Court they believe to be in their favor.Listen to “Roe v. Wade,” a series from “The Daily” about how abortion became one of the most divisive political issues in the United States. Carlos Ghosn, the former head of Nissan, was the rare foreign executive to reach rock-star status in Japan by breaking the rules of its culture. Now, he’s accused of financial wrongdoing at the company he helped save. Guest: Motoko Rich, the Tokyo bureau chief for The New York Times. For more information on today’s episode, visit nytimes.com/thedaily.Background reading:Mr. Ghosn has been arrested on charges of financial misconduct at Nissan. He said in a video statement that the accusations were part of a plot by company executives to engineer his downfall.Mr. Ghosn wasn’t expected to succeed in Japan, a nation known for its distrust of outsiders. But he also wasn’t expected to fail like this. Many have considered Julian Assange, the founder of WikiLeaks, to be a hero of the free speech movement and a partner to journalists. He also came to be seen as a threat to national security. Then, he helped Russia interfere in a United States election. And now, he has been arrested. Our colleague tells us about the moral complexities of working with Mr. Assange. Guest: Scott Shane, who covers national security for The New York Times, has been following Mr. Assange’s decade-long saga. For more information on today’s episode, visit nytimes.com/thedaily. Prime Minister Benjamin Netanyahu of Israel has promised to assert sovereignty over dozens of Jewish settlements on the West Bank. For Palestinians there, that could mean the end of a decades-long struggle for a state of their own. We hear the perspective of one young man living on the West Bank. Guest: Fadi Quran, who grew up in a Palestinian community near an Israeli settlement. For more information on today’s episode, visit nytimes.com/thedaily. President Trump has promised to broker the deal of the century between Israelis and Palestinians. His partnership with Israel’s prime minister, Benjamin Netanyahu, may have made such a peace deal all but impossible. Guest: Mark Landler, who covers the White House for The New York Times. For more information on today’s episode, visit nytimes.com/thedaily. Economic collapse, crumbling infrastructure, a contested presidential election result — Venezuela was already in crisis. Then the power went out. Guest: Nicholas Casey, the Andes bureau chief for The New York Times, who recently returned from Venezuela. For more information on today’s episode, visit nytimes.com/thedaily. Kirstjen Nielsen was forced out as secretary of homeland security, even after carrying out and defending President Trump’s hard-line immigration policies. We look at why that wasn’t enough. Guest: Caitlin Dickerson, who covers immigration for The New York Times. For more information on today’s episode, visit nytimes.com/thedaily. Under President Vladimir Putin, Russia has carried out a brazen campaign of state-sponsored assassinations. Our colleague tracked down one of the hitmen. Guest: Michael Schwirtz, an investigative reporter for The New York Times, spoke with Oleg Smorodinov, a Russian hit man. For more information on today’s episode, visit nytimes.com/thedaily. Through his media empire, Rupert Murdoch has reshaped the politics of countries across the English-speaking world, pushing their governments to the right. We look inside the struggle over who will control that empire once he’s gone. Guests: Jonathan Mahler and Jim Rutenberg, who spent six months investigating the Murdoch family for The New York Times Magazine. For more information on today’s episode, visit nytimes.com/thedaily. The special counsel’s team sent its report to the attorney general, William P. Barr, who sent a summary of that report to Congress. But some members of the special counsel’s team have told associates that their findings are more troubling for President Trump than Mr. Barr indicated. Guests: Nicholas Fandos, who covers Congress for The New York Times, and Michael S. Schmidt, who has been covering the special counsel investigation. For more information on today’s episode, visit nytimes.com/thedaily. President Trump has backed away from his call to replace the Affordable Care Act with a Republican alternative. Why did his own party talk him out of it? Guest: Alexander Burns, who covers national politics for The New York Times. For more information on today’s episode, visit nytimes.com/thedaily. Nearly 900 students have been offered admission to one of New York City’s most elite public high schools. Just seven of those students are black. Guest: Eliza Shapiro, who covers New York City education for The New York Times. For more information on today’s episode, visit nytimes.com/thedaily. After months of trying and failing to pass a deal on Britain’s withdrawal from the European Union, Prime Minister Theresa May had one final thing to offer: herself. Guest: Ellen Barry, chief international correspondent for The New York Times. For more information on today’s episode, visit nytimes.com/thedaily. New Zealand is holding a national day of remembrance today for the 50 people killed in the mosque shootings in Christchurch. Our colleague spent several days with one family of one man who died in the attack. Guest: Charlotte Graham-McLay, who spent time with the family of Atta Elayyan. For more information on today’s episode, visit nytimes.com/thedaily. This year, Chicago’s top prosecutor, Kim Foxx, took the unusual step of asking women to come forward with allegations against the musician R. Kelly. In an interview, she explained that decision. 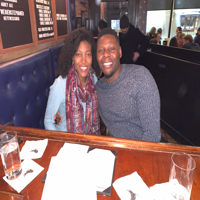 Guest: John Eligon, a national correspondent for The New York Times, spoke with Ms. Foxx. For more information on today’s episode, visit nytimes.com/thedaily. Prime Minister Benjamin Netanyahu of Israel faces indictment over an alleged scheme involving brazen acts of bribery and fraud. Why are so many Israelis ready to re-elect him? Guest: David M. Halbfinger, the Jerusalem bureau chief of The New York Times. For more information on today’s episode, visit nytimes.com/thedaily. The special counsel, Robert Mueller, was supposed to decide whether President Trump had committed a crime. Why did the attorney general, William P. Barr, do it instead? Guest: Michael S. Schmidt, who has been covering the special counsel investigation for The New York Times. For more information on today’s episode, visit nytimes.com/thedaily. Attorney General William P. Barr sent a letter to Congress summarizing the Mueller report: The special counsel investigation did not establish coordination with Russia, but there was a more complicated story when it came to obstruction of justice. Guests: The Times reporters Maggie Haberman, who covers the White House; and Michael S. Schmidt, who has been covering the special counsel investigation. For more information on today’s episode, visit nytimes.com/thedaily.